If there were mustard ones though, I'd try them in a second. Funny that you would be hard pressed to find these in the states. Though Canada is known to have ketchup flavored chips. Paul: For mustard fans, there are fried lotus root snacks that taste like hot mustard! They're good, but very intense. Rodzilla: My husband said that there is some Burger King "fries" snack which tastes very much like ketchup. 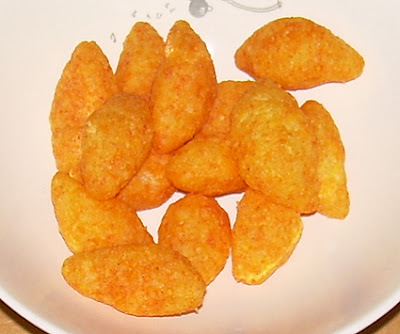 I sampled them once though and thought they were incredibly vile! I'm a ketchup fan, so I think I would be an enthusiastic sumo over this. 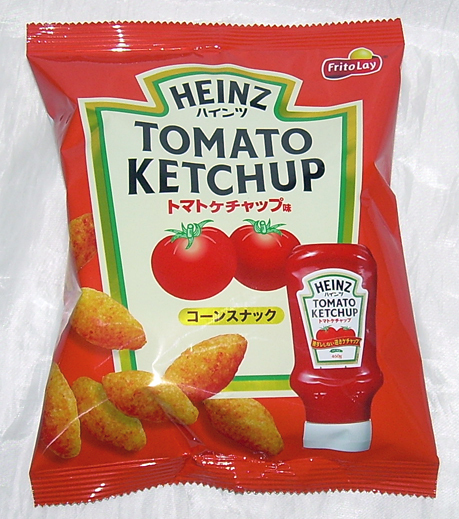 I think Japan even has Heinz pretz? Haha! These do sound like ketchup chips (only not as good). I pick them up every time I visit Canada! They have a strong vinegar flavor.